Hitting the road this summer? Of course you are, and no matter where you go you'll be sure to take your gizmos and gadgets along for the ride. Troubles is, when you're miles from nowhere and you desperately need to tweet a picture of a really ugly sheep you've spotted, the last thing you need is a flat phone battery. Fortunately PNY are here to help with their Dual USB Car Charger. This teeny little gadget is just as good as it gets - a useful, pocket-sized invention that turns something largely useless into something extremely handy. 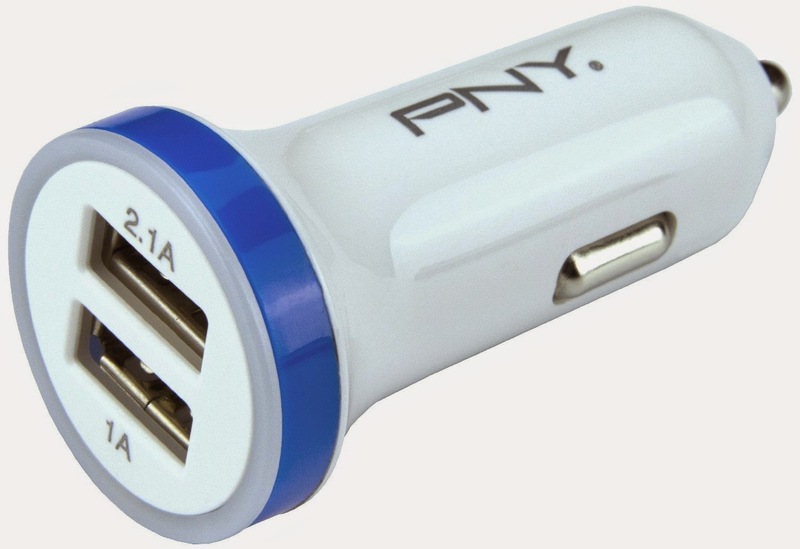 The PNY Dual USB Car Charger is just a few centimetres long and plugs directly into your car's 12V power port (which in the old days was known as the cigarette lighter). Once in, you just leave it there, ready to lend some charge to your gadgets whenever you need it. What is great about the Dual USB Car Charger is just that; it is dual. There are two USB ports sitting on top with a total output of 3.1A. This means you can charge two things at one, such as a phone and a tablet, or indeed (and this is particularly handy if you're travelling with a few friends) two phones. One of the ports pumps out 2.1A while the other delivers 1A, quite like the previously reviewed PNY USB Power Pack (which we also loved). This little gadget is therefore an absolutely must-have product for the summer. Because all of your friends will really want to see that ugly sheep! To enter simply follow @thetestpit on Twitter, or if you're already following us, retweet any tweet before 4th July 2014. The competition will close at 5pm on 4th July 2014 and the winner will be notified soon after. UK entrants only please. The judges' decision is final. For T&Cs please send us an email.